State of the Union explores the relationship of artists to political engagement through a focus on the labour movement and trade unions. The exhibition presents artworks that investigate industrial action and labour issues alongside the work of artists who draw upon the traditional visual strategies of protest, such as banners, posters, and collaborative actions. In addition to artworks that take trade unionism as a subject matter, the exhibition includes a consideration of artists whose practices are a form of cultural activism through which they advocate for fair working conditions, including those of artworkers. 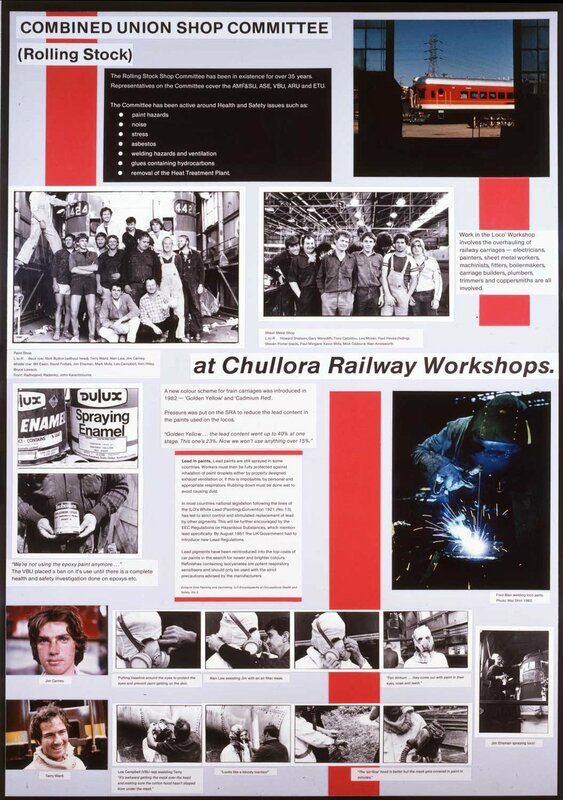 State of the Union also considers the reciprocal commitment of Australian trade unions to art and cultural production through the establishment of theatre groups, film units, libraries, and artist residencies, and via their long-standing appreciation of the power of visual communication through their use of banners, posters and murals. Alongside a selection of recent contemporary artworks, the exhibition highlights two periods in Australia when interactions between artists and the labour movement were particularly rich: the Depression era of the 1930s and 40s when the political convictions of social realist artists were reflected in artworks depicting the hardships faced by workers and their families; and the 1970s and 80s, when the introduction of community arts funding nurtured a flowering of cultural activity within trade unions and trades councils, in the form of banner and mural painting, factory festivals and artist-in-the-workplace residencies. This project premiered at the Workers Health Centre in Lidcombe, NSW in 1984. Made in collaboration with Julie Donaldson, Warwick Pearse, and panels designed by Ruth Waller, it was great to see that these panels still looked so fresh after more than thirty years.